As I explained in my initial blog post, my interest in genealogy was sparked by a desire to learn the fate of my paternal grandfather, Damiano De Virgilio, the man for whom I am named. In fact, this blog is named for my goal of "knowing Nonno." With the recent passing of Veteran's Day in the US, this seems like an appropriate time to provide some richer context on my experience in exploring his story. However, for the sake of keeping posts relatively succinct, I will divide this tale into three parts to be posted over the coming weeks. Inform the thousands of families who are still unaware of the fate of their loved ones. After so many years of painful ambiguity, this is the least that can be done. 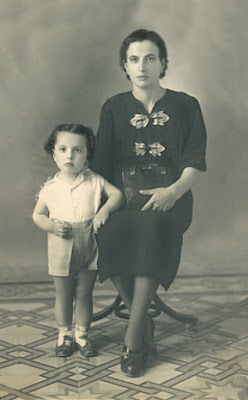 Like all my ancestors of which I am aware, Nonno Damiano was born and raised in Molfetta, Italy. He was the youngest male child of seven born to Maria Saveria Modugno and Francesco De Virgilio. I have met very few people during my lifetime who knew Damiano personally. However, certain traits and stories have lingered through the years. He was tall and imposing, yet handsome, with massive hands that seemed molded for the strenuous farm life his family had labored at for generations. His initial courting of my grandmother involved a ruse about needing to pick up a sack of seeds from her parents' home. He was also known for quite the temper, which, truth be told, is not very surprising when I consider the genes he passed on to us. 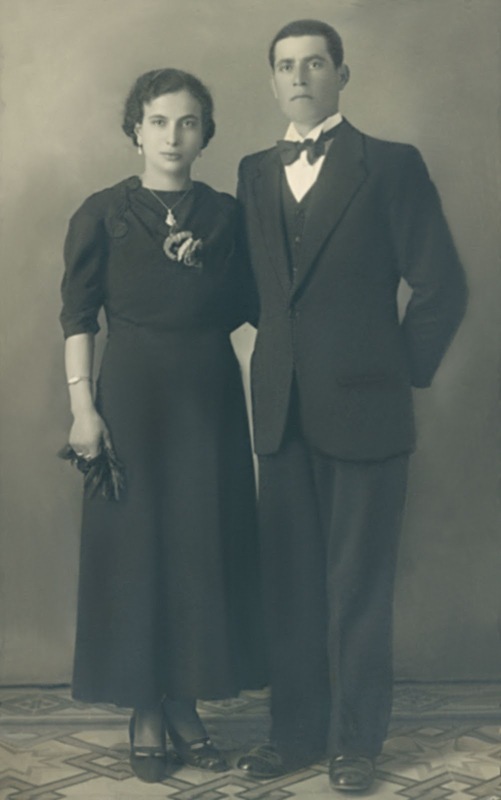 On January 8, 1938, as he approached 26 years of age, he married Mariantonia De Ruvo, and by November of that same year, they would have their only child, my father Francesco. Though Damiano hoped to simply settle down into the humble farming tradition of his ancestors, little did he know that he soon would be off to war, never to see his young wife and infant son again. Benito Mussolini's fascist regime had delusional, imperial aspirations, and its alignment with the sinister agenda of the Nazis during World War II will eternally taint the history of Italy during the 20th century. Damiano was just one of millions of men forced to serve a cause that he likely neither understood nor advocated. 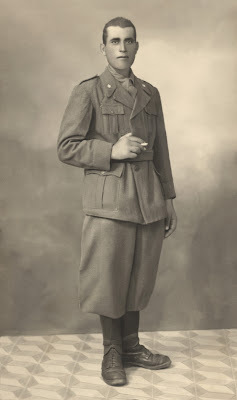 He shipped out in January 1940 as part of the 35th Artillery Regiment of the Italian occupying force in Rhodes in the Aegean Sea. All letters exchanged with his family are lost, but fortunately, copies of photographs shared by mail survive as testaments to a longing for the life that he left at home. With the Italian Armistice of September 8, 1943, Italian soldiers like my grandfather were faced with the choice of either continuing to fight alongside the Nazis or risk the unknown outcome of the alternative. I am proud to say that many Italian soldiers chose the latter, often with dire consequences, such as the Massacre of the Acqui Division. My grandfather made his choice and was taken prisoner by the Germans on September 11, 1943. Reports on his whereabouts ceased as of late January 1944. For decades, nothing more was known of his fate. With the lack of news, Nonna Mariantonia scrambled to learn whatever she could through formal and informal channels. She even wrote to the Vatican for assistance in learning the fate of her husband. (Thank you Carolyn Ugolini for finding this priceless family record!) No information was available, and he was simply declared missing in action. Mariantonia dealt with this personal agony as best she could. She never remarried and raised her only son on her own while running a rented farm. 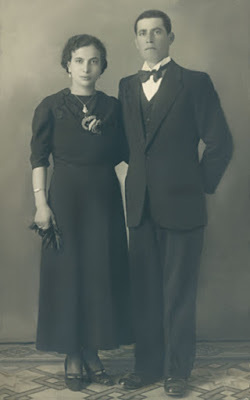 It wasn't until the early 1970s, just after moving to the US, that she received word from the Italian Ministry of Defense vaguely declaring that her husband had died in the sinking of an unknown steamship off the coast of the mysteriously named "Island of Goidano" in February 1944. For about 40 years, my family was forced to content itself with this nebulous information. In my next post, I'll recount how the power of Google, social media, and mere serendipity ultimately brought the truth to light. You are doing an amazing job on this. Thank you for taking this on with such passion.